This Autumn, musical pioneers Wire continue celebrations of their 40th year as a band with an extensive UK tour. From Dundee to Dover, the prolific four-piece will be introducing fans to tracks from their highly critically acclaimed new album. Silver/Lead is their 15th studio album and arrived on the anniversary of the band’s first proper show at London’s The Roxy on April 1st 1977. 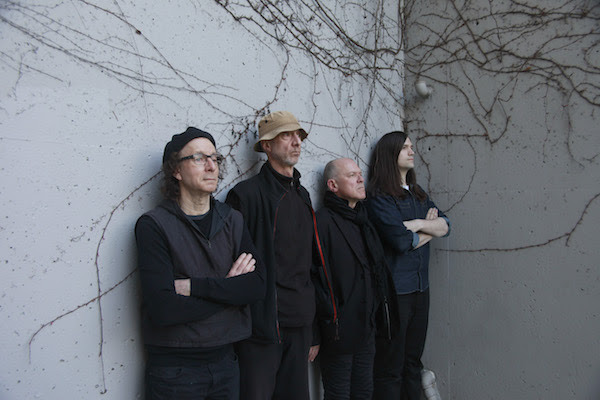 Wire are one of the world’s most ground-breaking bands, their influence acknowledged by bands as diverse as Blur, Sonic Youth, R.E.M. and Savages. But they have never been interested in exploiting past glories. For Wire, there is only ever one possible direction: forwards. So it’s perhaps not surprising that over recent years, they’ve played strings of sold-out shows, achieved career-best record sales, and been cited as a strong influence by yet another generation of bands. ‘Silver/Lead’ is the sound of a uniquely addictive 21st century psychedelic post-punk.